Anyway, the thing to know is that the TAICHI loyalty programme is not here to sell you anything – the purpose of the TAICHI project, co-funded by the European Union, is to increase awareness and use of extra virgin olive oil in Mainland China and Taiwan. We want to be your one-stop source for all your olive oil information needs. 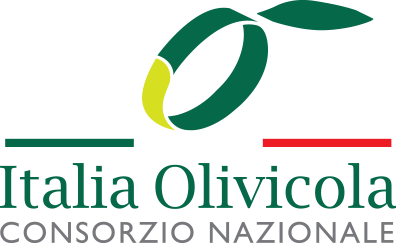 Our professional journalists deliver editorial articles on olive oil that are verified by Italian olive industry experts – CNO, UNAPOL and UNASCO. We also keep an eye on scientific research, innovations, business news and food safety news to bring you the olive oil news you need. So, if we’re not selling you anything, what is our loyalty programme about, Well, it’s all about engagement! We want to engage you, to get your full attention. We have loads of prizes, and the more loyalty points you collect, the more chance you have to win – but never fear, we’ll also run prize draws for all of our members no matter how many points they have. We don’t have all the details on the loyalty points or the prizes yet – of course, there’s definitely going to be olive oil involved… but we do have one prize that’s definitely going to interest you: on 31st May 2019 we’ll run a very special prize draw for our more active members – a trip to Italy! Interested? Fill out the form and the moment we have the programme details down, we’ll let you know! We’ll give you a generous helping of loyalty points as a way of saying thank you for pre-registering when the programme is out and you complete your registration. Yes, I want to pre-register for the TAICHI project’s loyalty programme – send me more information by email as soon as you have it! Yes, I also want to subscribe to OurOliveOil.com’s e-newsletter! If you subscribe to our e-newsletter, OurOliveOil.com will use the information you provide on this form to stay in touch with you, as well as provide updates and marketing by email from us and our TAICHI project partners.